Dubai: The upper crust of the table, led by Sharjah, will be keen to shrug off a lengthy break and consolidate their positions at the top of the standings when the Arabian Gulf League (AGL) resumes on Monday. Sharjah went into the nearly one-month long break for the 2019 AFC Asian Cup at the top of the 14-team table with nine wins and four draws for their 31 points. In second place is Al Jazira and Al Ain with an identical 28 points, but with the defending champions having played one match less. Off to a slow start to the AGL, another former champion Shabab Al Ahli Dubai have done well to climb up into fourth with 25 points following the arrival of former Al Wasl trainer Rodolfo Arruabarrena. The Argentine, who spent much of his playing career with Spanish side Villareal, has managed to stem the slide and in fact, managed to take his team into the semi-finals of the Arabian Gulf Cup. While the top teams will be eager to assert their dominance, those at the end of the table will be out to improve on their form and points with the last 13 rounds of the AGL remaining. 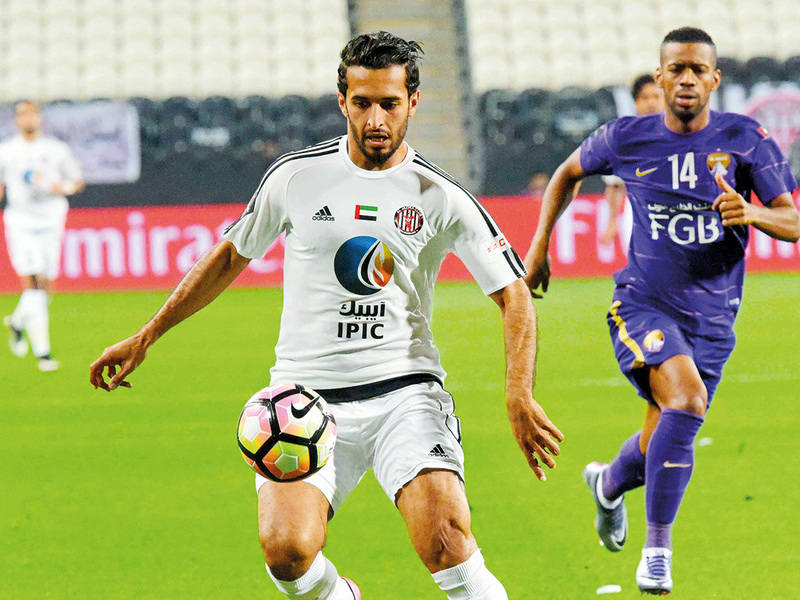 Al Jazira will once be looking at their star striker Ali Mabkhout to deliver as the second-placed team hosts Shabab Al Ahli Dubai in the feature game of Round 14 on Monday. Leaders Sharjah, however, will be looking at full points as they host 10th-placed Al Dhafra on Tuesday, while Al Ain — now with Croatian Zoran Mamic preferring Saudi Arabia’s Al Hilal — will try to return with full points from their long trip to Emirates Club in Ras Al Khaimah. Two of Dubai’s top clubs are both on the road on Monday with 12th-placed Al Wasl travelling to cellar-occupants Dibba, while ninth-placed Al Nasr will be up against Ajman. The next four teams — Al Wahda, Ajman, Bani Yas and Kalba — are all with an identical 18 points and will be looking forward to swelling their tally as the second half of the league kicks off. Al Nasr are in ninth with a mere 15 points, followed by Al Dhafra with 14 while Fujairah and Al Wasl are placed in eleventh and 12th with 13 and eleven points, respectively. Emirates Club of Ras Al Khaimah and Dibba seem destined for near-certain relegation in the last two places with nine and four points each.